But choosing the right one for your business can be confusing. There are several categories of health information technology (HIT), and with many of these software systems sharing similar capabilities, it’s not always easy to distinguish one from the next. That’s why we’ve made a primer to help you break down the types of health information technology. Before we dive in too far, let’s define what health information technology actually is. In the broadest sense, HIT is the application of information technology to healthcare. This refers to the electronics systems that healthcare professionals (and sometimes patients) use to store, share and analyze health information. It’s another way to describe the comprehensive management of information among patients, practitioners, government, quality entities and insurers. The use of health information technology has been shown to improve the quality and effectiveness of health care; it promotes individual and public health while increasing the accuracy of diagnoses. The software also reduces costs and medical errors, while improving the efficiency of both administrative and clinical processes. In addition to providing a higher quality of care, healthcare software saves you time and money. 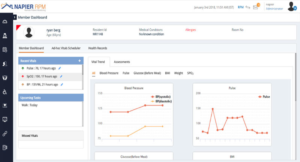 By using HIT, the time and effort spent managing daily operations and administrative tasks can be reduced, allowing your healthcare organization to focus more of your efforts on patient treatment and health. Faster prescriptions, information sharing, reduced paperwork and better follow-up are just a few examples of how healthcare information systems is helping facilities to become more productive and efficient. There are a variety of different healthcare information technology systems — depending on your healthcare organization’s type of treatment and specific needs, there will be certain solutions you’ll benefit from more than others. Before you can begin the process of selecting software, you must be aware of the different software types regarding HIT. How Many Categories of HIT Are There? There are two main categories of health care information technology and six “subcategories.” You’ll find these exist in both hospitals and physician offices and are beneficial for nearly all types of providers. As the name implies, practice management software helps you manage different administrative and clinical aspects of your practice. MPM software centralizes various systems so you can run things more efficiently. 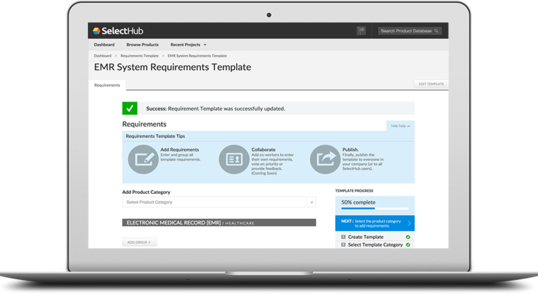 It automates almost every task that fits under the “health information management” umbrella, from organizing appointments to verifying insurance. Although there may be some features that involve patient information, MPM is geared much more toward a healthcare facility’s clerical work, such as managing patient flows and other general documentation for the office. With medical practice management software, there’s no need for a patient’s medical data to be included. 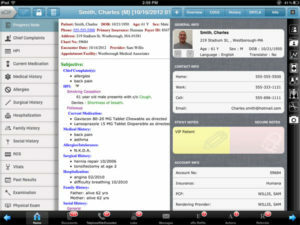 For example, practice management software might keep record of patient demographics but will generally not include a patient’s medical history. Rather than clinicians, the primary users of practice management software will consist predominantly of front desk workers as well as those with administrative roles. 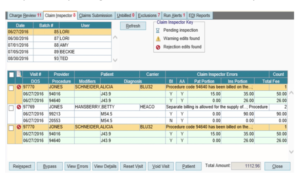 In addition to scheduling appointments and verifying insurance, medical practice management software automatically processes claims, generates reports and handles billing and payment. Overall, think of practice management as a way to manage the day-to-day operations of your healthcare organization. By automating a variety of business tasks, MPM helps to improve a facility’s production and efficiency while giving administrators and other staff more time to focus on patient care. Switching to the patient side of things, electronic health records (EHR) focus on the documentation and storage of a patient’s medical information. In the past, clinicians had to document everything on paper, by hand — now, they can simply fill out that information on their computer or mobile device. Electronic medical records (EMR) started as a way to eliminate the time and errors that came with the manual charting of patient data. The problem, historically, with EMRs was that patient information was only able to be viewed within one office — so, if a patient were transferred to a different clinic, their medical information would not follow suit. As a result of these limitations, electronic health records were created to allow the sharing of patient data throughout different healthcare facilities. With EMR software and EHR software, a patient who is moved to, say the emergency room, can be properly treated because different physicians are able to access their information. While differentiating an EHR from an EMR can be difficult, don’t stress about knowing the distinction — in recent years, industry insiders have started to use the two terms interchangeably. For the sake of this article, we will be referring to both as EHR. These systems can also alert you when patients are due for preventive procedures and screenings. In addition, EHRs help physicians treat patients by looking at their history and comparing their health data with past entries. EHRs are also saving health organizations money by saving space. Because a patient’s information is stored electronically, facilities can repurpose space that was originally used for document storage. They also eliminate the risk of damaged or misplaced files. With patient portals, users can essentially view everything you’d find in an EHR, including patient history, treatments and medications. A patient can access their medical history, schedule appointments, message their doctor, view bills and make payments all online. 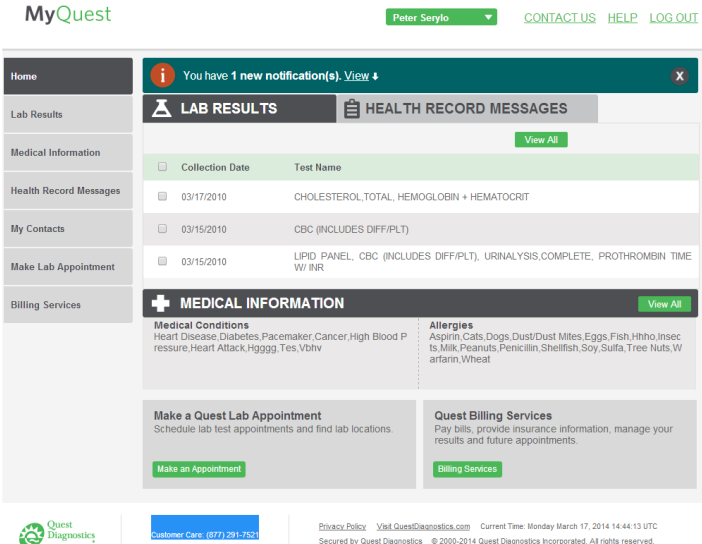 Patient portals are allowing patients to have more control when it comes to their overall health treatment. Patients can use their personal devices, such as a phone or tablet, to create and save personal notes as well as receive alerts and notifications from their providers. Rather than having to wait on the phone during business hours to set an appointment, a patient can simply log in, check their doctor’s availability and schedule a time that works for both of them. Once a patient has finished their appointment, they can go online to view their bill and provide payment information to settle up. These systems have increased in popularity among hospitals and medical practices in recent years. Today’s consumer expects more transparency and accessibility than ever before, so it’s no wonder why portals are becoming a staple in the medical industry. 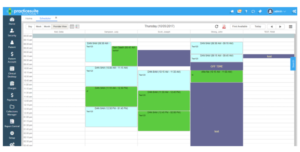 Patient scheduling software oftentimes goes hand-in-hand with a patient portal. In today’s digital age, many patients prefer to schedule appointments themselves. You can direct patients to log into their account and schedule appointments when it’s convenient for them, matching up their availability with that of their practitioner(s). Providing patients the accessibility to manage their own scheduling radically reduces your phone traffic while allowing patients to find the specific time and date that works best for them.  Rather than calling every time they want to make an appointment, patients can make appointments at any time of the day, rather than just being able to do so from 9-5. Aside from the patient’s ability to set appointments, practitioners can use practice management software to schedule other staff members as well as assign exam rooms and specialty equipment to specific times of the day. One of the most time-consuming tasks for practices is managing all aspects of billing. It’s especially true for busy hospitals and practices, as there is little time to spare for most tasks in the first place. From scheduling an appointment up until payment is processed, medical billing software handles the entire billing workflow process. In addition to patient billing, this software handles insurance claims, insurance verification, payment processing and patient tracking. If there’s an issue such as a late payment, the system alerts you so you can act accordingly. 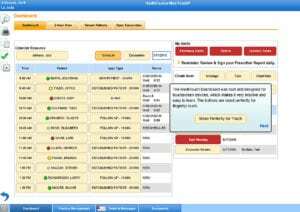 Perhaps the biggest advantage to medical billing software lies in its claim scrubbing tools. This involves automatically scanning claims and eliminating any CCI, HIPAA or LCD errors. In turn, this leads to higher first-pass claim acceptance rates and faster reimbursements for your facility. If your facility focuses on specialized care, make sure your area of treatment is supported by your software, as many medical billing solutions don’t support specialty clinics — mainly dentistry. Sending prescriptions to pharmacies can be tedious when creating orders for multiple patients. To expedite the process, physician offices began using eprescribing software. In just a few clicks a prescription is sent, filled and waiting for the patient when they get to the pharmacy. In addition to speeding up the entire prescription process, the fulfillment of prescriptions can be tracked and controlled substance prescriptions can be monitored more accurately. Practitioners can spend less time responding to prescription refill requests and more time focusing on other issues at hand. When entering and re-entering data by hand, errors are naturally going to occur; ePrescribing systems ensure there’s never a prescription mix up caused by hard-to-decipher handwriting. Additionally, by being online rather than in physical form, you don’t run the risk of misplacing a prescription. The system displays the prescription at the pharmacy, ensuring patient safety by giving them the correct one. Patients are also saving money as a result of eprescribing. A study by Decision Resources found that using eprescribing software has increased the prescribing of generic drugs — your clinic is able to keep better track of patient records and provide a more cost-effective medication for your patients. With remote patient monitoring, medical sensors can send patient data from their home (or wherever they are) to healthcare professionals at the facility. RPM is reducing the costs that come with chronic care and hospital readmission while leading to better quality health care. RPM can also monitor blood-glucose levels as well as blood pressure for patients with chronic conditions. Data can be used to predict and prevent events that’d otherwise require medical intervention. As RPMs become increasingly popular, this data captured could possibly become part of a larger population health study down the road. Practitioners can use the data they gather to make recommendations or provide wellness advice to the patient. For example, if a patient is consistently gaining weight, a doctor might recommend a healthier diet or even make sure the treatment isn’t causing the problem. Aside from chronic care, there are several types of healthcare which benefit from the use of an RPM: post-discharge care, senior care, workmen’s compensation cases, behavioral health and substance abuse treatment. To put in the simplest of terms, a master patient index connects a patient’s records with more than one database. Containing records for any patient registered at a healthcare organization, an MPI allows that facility’s different departments to all share data simultaneously. This type of HIT is commonly used by hospitals or other large practices, as data can be entered once and stored for future reference in other departments and labs. The MPI then creates an index of all medical records for a specific patient, making accessing patient data quick and painless. A couple end goals of using MPI include providing more accurate data and better security of patient information. MPI aims to reduce the need for the manual duplication of patient records; for example, when it comes to filling out claims, errors involving patient information can be prevented, resulting in fewer patient claim denials. With access management tools, administrators can control which users are able to access the MPI. Although HIT offers many potential benefits, individuals and institutions have been somewhat slow to adopt the technology. In some cases, the issues are financially motivated; even when monetary incentives are provided by the federal government, the initial cost of implementing HIT can be too expensive of a turn-off for providers. Other times the problems are more technical — one example of this occurs when companies try to interface different proprietary systems with health information technology containing laboratory or medication data. To choose and use HIT effectively, an organization must be diligent in researching both current and proposed requirements. Despite initial difficulties associated with implementing the program, the outcomes are worth the risk and effort. Think of how processes will be streamlined at your hospital or practice once you do implement a system. It could make the least favorable tasks much easier to manage for you and the rest of your staff. Ready to Start Using Healthcare Information Technology? Healthcare information technology systems are changing health care in general to provide better treatment and boost the efficiency of health organizations. Although there are many types of healthcare software to choose from, we hope this list can help narrow your search. As with any software, you’ll want to recognize your organization’s specific needs and what you hope to get out of your software. It’s also smart to request demos from vendors so you know what each program is capable of before making your final decision — the most popular software may turn out to be less-than-stellar solutions for your particular clinic. When making your final decision, the most important thing is to find a system that fits your facility. How has your healthcare facility benefited from the use of HIT systems? Are there any we missed? Let us know in the comments. Thanks for reading, Brianna! I’m glad to hear healthcare tech has had a positive impact on your life. It’s definitely an area that’s going to continue to expand and advance rapidly, and I’m looking forward to seeing how it will continue to improve our lives. Thanks for reading, Abrian! We hope you found the information useful. Thanks for reading Adeola! The best way to reference a site you find useful is to include a link to the article. Hope that helps! Such valuable information – Much needed!